“I can’t think of another location in America that is an hour flight from so much capacity,” said John Dickson, chairman of SAT’s System Development Committee, a mayor-appointed task force created to make recommendations for improving San Antonio’s airport. A principal with cybersecurity firm Denim Group, Dickson himself is a million mile traveler. Getting squeezed by Texas giants doesn’t mean there’s only turbulence ahead for SAT, however. San Antonio has plenty going for it, not the least of which is population growth. Frontier Airlines recently announced new direct service to Salt Lake City and Orange County. Frontier offers 25 direct flights from SAT. Dickson sees a trend with smaller carriers like Frontier. Perhaps the biggest trend to watch is the push toward smaller, quieter, stronger and more fuel efficient aircraft. Boeing’s 737 Max 10 is an example. The model offers “unrivaled profits” according to Boeing’s web site. 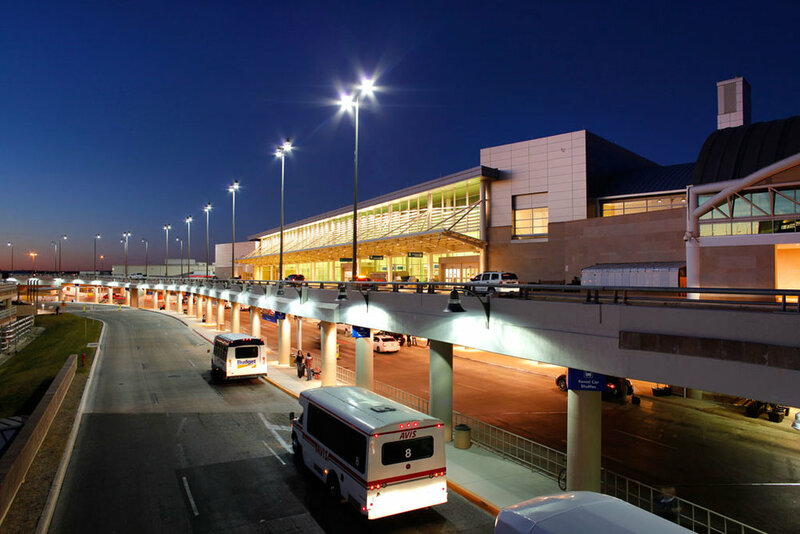 With 2,600 total acres, San Antonio International has plenty of room to expand. And with noise becoming less of a factor on newer airplane models, Dickson says SAT’s central location at the intersection of two major thoroughfares is an advantage. “We might not need 12,000 foot runways on the outskirts of town,” Dickson said. Dickson compliments city leaders for investing appropriately in the airport over the last few decades. A case in point is the recently completed centralized rental car and short-term parking facility. The $178 million project came on the heels of a new terminal that houses American and United Airlines. Southwest Airlines anchors SAT’s other terminal. Besides commercial flights, private and personalized options abound at SAT. Three fixed base operators serve a variety of charter and membership-based offerings. Whether you need a turboprop for a meeting in Houston or a jet for a trip to a coast, companies like Jet Linx have you covered. With Jet Linx you can drive your car directly to your aircraft and have your car secured at a private location. Jet Linx will clean and wash it while you’re gone. “It’s all part of our personalized approach to delivering bespoke service to our clients,” Northington stated. What SAT lacks in terms of size or scale, it makes up for with efficiency and ease of use. Dickson hopes to keep it that way.